Large Logo liveried 73207 approaches Eastleigh station running light engine as the 0Z73 Tonbridge to Eastleigh Depot on the 29th February 2012. The 'ED' was picking up a GLV. 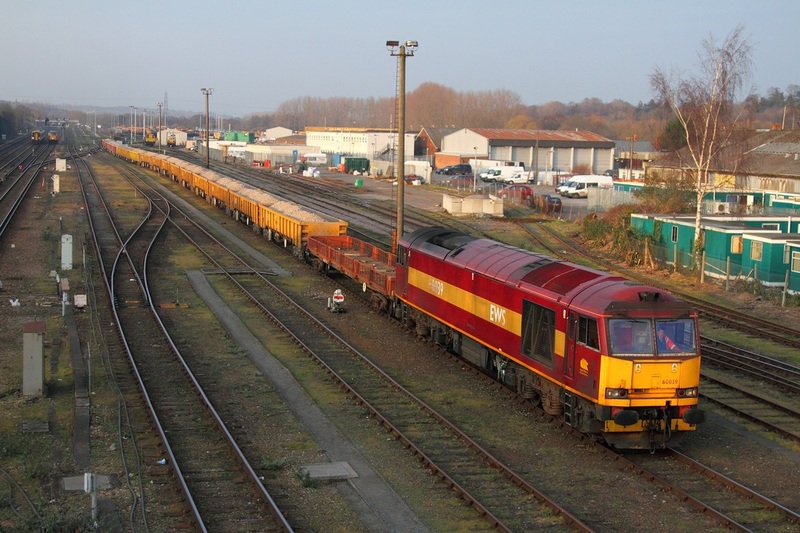 DB Schenker's EWS liveried 60039 is photographed approaching Eastleigh Station in the sidings whilst shunting some ballast wagons on the 29th February 2012. 60039 is Eastleigh's super shunter. Note 73207 in the distance to the left of the photograph. 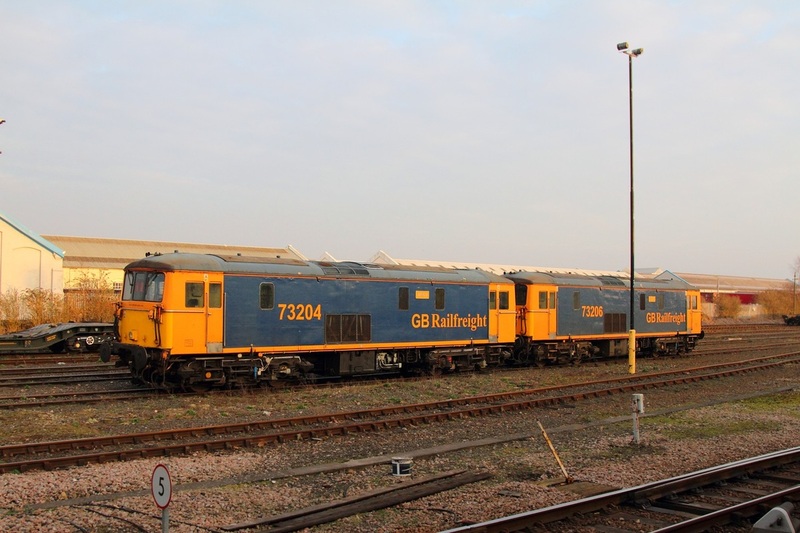 With the exception of 73209 which is at Brush Loughborough, 73204 and 73206 are the last two 'EDs' to remain in the original GBRF livery. 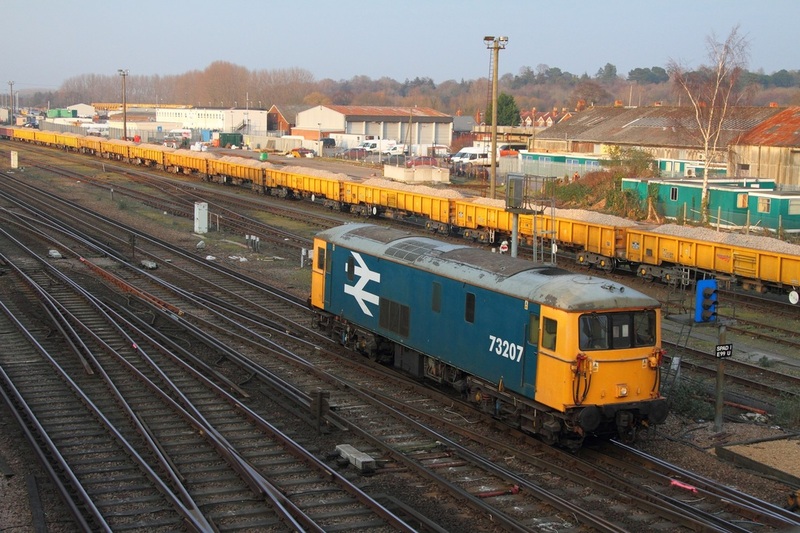 Both locos are photographed on the 29th February 2012, in the sidings adjacent to Eastleigh station.